Buck QuickFire ASAP Assisted Opening Folding Pocket Knife Black | BUDK.com - Knives & Swords At The Lowest Prices! 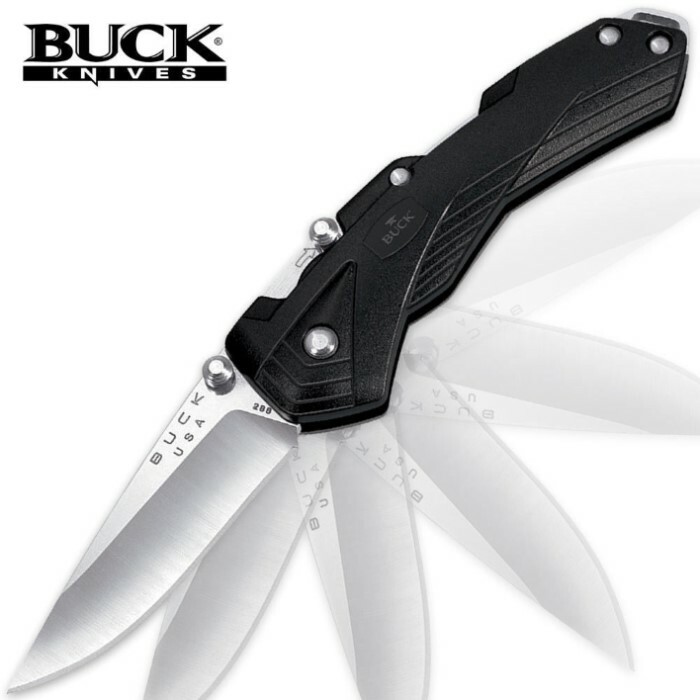 Utilizing the advanced ASAP assisted-opening technology, Buck's QuickFire offers you an American-made assisted-opener at an unbelievable price point. The QuickFire features a high carbon steel drop point blade with a built-in thumb stud, sliding safety lock and pocket clip. The rugged glass-filled nylon handle provides a slip-free grip and gives this assisted-opening knife a tactical look and feel.